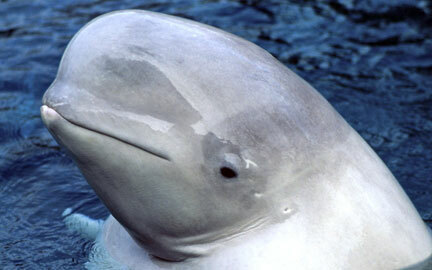 Beluga whales live in cold temperate latitudes within the Northern Hemisphere; seasonally in shallow coastal waters and also in deep offshore waters during winter months. They face threats from climate change, hunting, oil and gas development, and industrial and urban pollution. Polar bears and killer whales are known predators of belugas throughout their Arctic range.